Project helped stimulate other neighborhood development. The original saw-tooth light monitors and structural beams were retained on 5th floor. 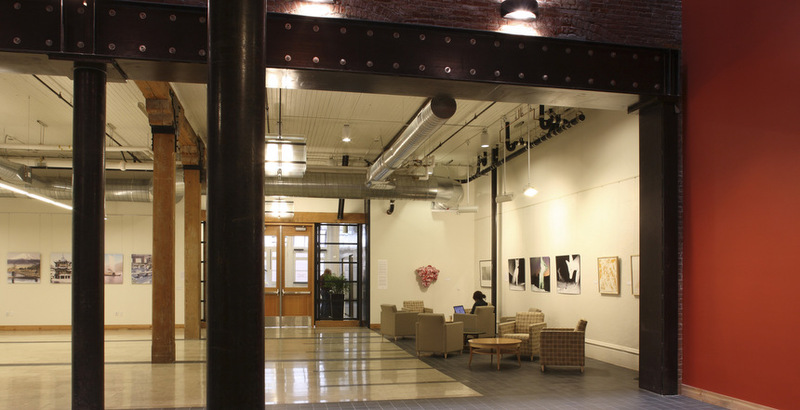 Light well at block's center was turned into usable space. The light-filled main lobby retains building character. The White Stag Block is comprised of three buildings merged into one. The original cast-iron columns and detail work were preserved on Bickel Block. 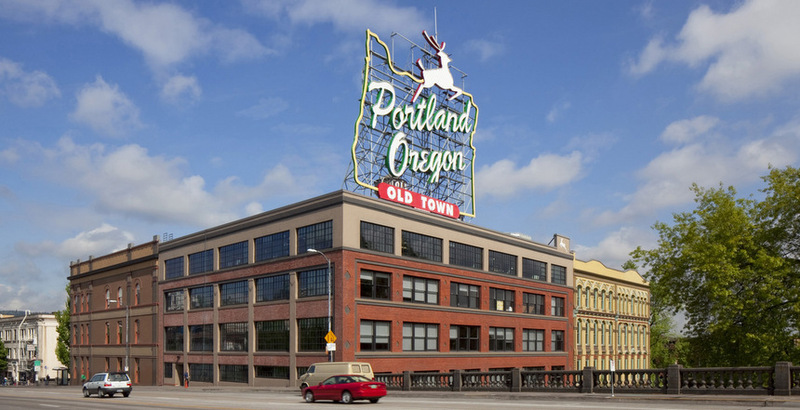 This renovation project, located adjacent to Portland’s waterfront, has infused new life into Portland’s oldest neighborhood and shows Venerable’s respect for the buildings’ heritage through historic preservation. 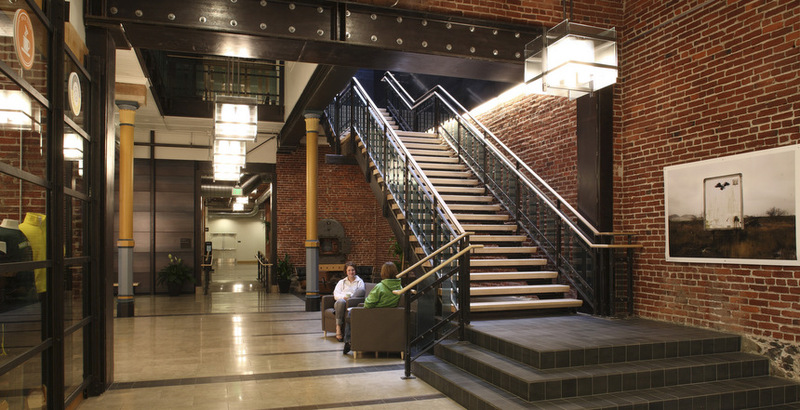 The three renovated buildings were purchased in 2006 from the Bill Naito Company. The Naito family acquired the property in 1972. 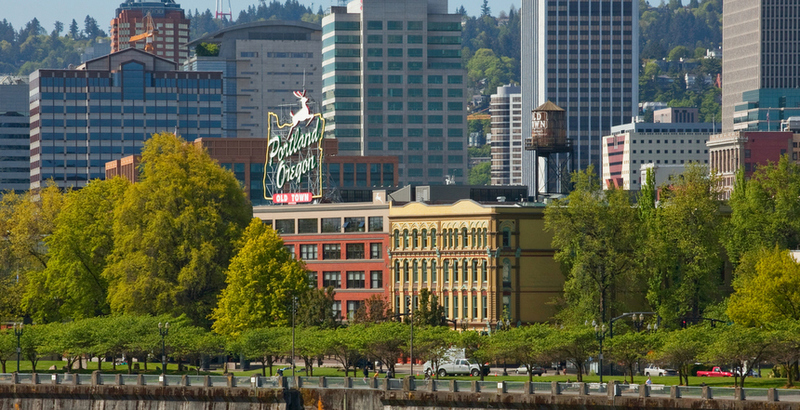 The buildings are listed in the National Register of Historic Places as contributors to Portland’s Old Town Historic District. The three buildings (the Bickel Block, the Skidmore Block and the White Stag/Hirsch-Weiss Building) were merged via connected floor plates to form the new White Stag Block. The project totals 137,000 square feet and the University of Oregon is the anchor tenant opening with Portland programs fall, 2008. Venerable was awarded the Leadership in Energy and Environmental Design (LEED) Gold certification. LEED certification represents a commitment to adhering to particular environmental performance standards for the design and construction of the project. The certification is based on the project achieving quantifiable environmental standards according to the LEED rating system. Building tenants will be encouraged to adopt environmental standards for their tenant improvement projects. Venerable and Bremik Construction reused or recycled 99% of all the materials removed from the building either within the project or to building-material recyclers including plaster, brick, windows, wood beams and flooring. In addition to modern construction and environmental sustainability, each of the building’s unique character has been restored. The interiors were blank slates but the historical flavor was retained. High ceilings, cast-iron columns, exposed brick walls and paint-stripped wood columns and beams highlight the bygone era. A light well at the block’s center was turned into a usable light court with a glass cover. 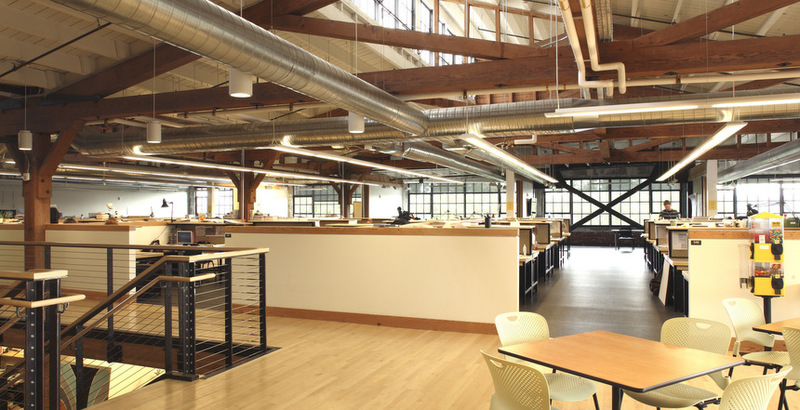 The White Stag/Hirsch-Weiss Building has two original saw tooth light monitors that were restored to provide abundant natural light and add to the fifth floor’s character. Even each building’s basement has useable space. There are often unforeseen and unexpected surprises in redeveloping and renovating historic structures. Workers uncovered the original cast-iron façade of the 1883 Bickel Block hidden behind faux brick since a 1950s makeover. Venerable’s decision to spend $100,000 to restore the façade was an opportunity to bring back original architectural details. The work included recasting hundreds of cast-iron pieces and creating 500 molds to replicate missing or damaged pieces. 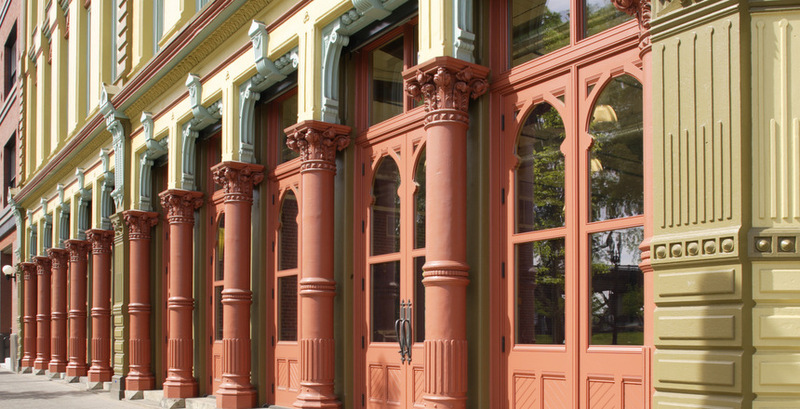 The restored Bickel façade, which faces NW Naito Parkway, includes the original cast-iron columns and openings for the original large wood storefront doors. Also, the 1950s-era storefront on the White Stag/Hirsch-Weiss building was replaced with wood storefront systems to reflect the original design. This project provides the single most impact in development to occur in Old Town in many decades. It has ignited numerous other substantial projects in this district bringing new activity and a new tone to the city’s oldest neighborhood.